Cystinuria is an inherited disorder caused by a defective transport of the amino acid cystine in the kidney tubules. Normally, cystine is filtered in the kidney and reabsorbed within the tubules, resulting in little cystine in the urine. Dogs with Cystinuria do not properly reabsorb the cystine (and a few other amino acids) in the kidney tubules, causing the urine to contain abnormally high levels of cystine. Cystine is insoluble in neutral pH or acidic urine, so excess urinary cystine results in the formation of crystals, which in turn can lead to formation of cystine calculi (stones) in the kidney and/or the bladder. Dogs suffering from Cystinuria suffer repeated urinary tract inflammations, and are at risk for urinary blockage, which can, if not treated promptly, lead to kidney failure, bladder rupture, and death. 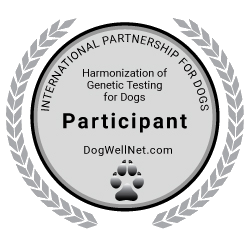 In Australian Cattle Dogs the disease is inherited as a dominant trait whereby homozygous affected dogs has more severe symptoms than heterozygous carriers.